Perched at an elevation of 1200 meters, and a home to nearly 2 million people, Idukki is one of the 14 districts of Kerala. Famous for its hill stations Munnar and Thekkady, Idduki boasts to be the second largest district in Kerala. The dense forests, magnificent peaks, lush green vegetation, and beautiful waterways make it one of the most popular tourist places. Idukki is the center for spice plantation gardens, hill stations, and wildlife sanctuaries that attracts tourists from all over the world. There are many Idukki points of interest that are going to surprise you, mesmerize you and leave you spellbound. If you are taking a flight to reach Idukki, then the nearest airport is the Cochin International Airport, located at a distance of nearly 132 km from Idukki. The place has strong rail connectivity, pinning it to all major cities. Kottayam and Changanacherry are the nearest railway stations. 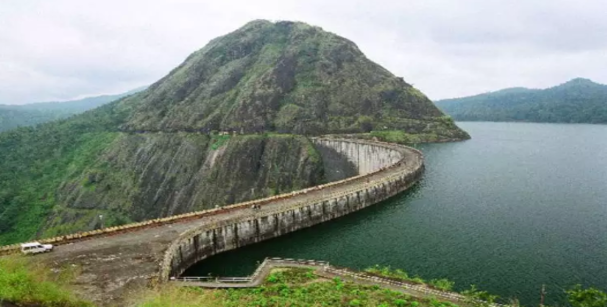 If you are taking a roadtrip, then NH-49 is the route that connects to Idukki. If you are taking a summer trip, then you can visit Idukki between the months of March and May. If you wish to experience Idukki during monsoon, then June to September are the ideal months. For a winter trip, visit between November and February. 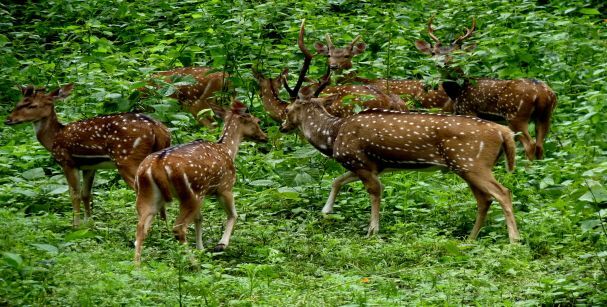 Spread across nearly 70 sq meters in area, the Idukki wildlife sanctuary takes the land between the Periyar Rivers and Cheruthoni, serving as a natural habitat for many species of fauna. There is a lake that surrounds the sanctuary, enhancing the overall view. The sanctuary is home to some of the endangered species that you can explore while on a jungle safari. Witness the breathtaking beauty of Idduki while on your visit to the Idduki Arch Dam. This architectural marvel is recognized as Asia’s first arch dam, and world’s second. Standing on the Periyar River, at an altitude of 550 ft, the whole location is pretty as a picture. The dam separates the Kuravan Hills and the Kurathi Hills, and is one of the best Idukki Kerala tourist places. Surrender yourself to the breathtaking views of the KALVARI Mount, and let its charisma transport you to a different world. Stretching from the Idduki Reservoir to the ends of Ayyappancoil, this picturesque beauty should definitely be on your list. This place is perfect for those seeking solitude in the lap of nature. The Kalvari Mount is situated 10 km from Idukki and 55 km from Munnar, and is easily accessible by road. You can also take the bus from Idukki to reach the place. The headquarters of the Idukki district, Painavu is a picturesque hill resort nestled in the Idukki wildlife sanctuary. Situated at an altitude of 3900 ft, this hill resort offers the tourists the opportunity to take a trekking experience. Not only that, you can also enjoy the panoramic views of the place and capture some amazing memories with your loved ones. Stretching across 8 acres of land, the Hill View Park is one of the best Places to visit in Idukki. Half a kilometer away from the Idukki dam, this place offers a breathtaking view of the surrounding landscape. Not only can you spot wild elephants at the park, but can also indulge in a fun-filled boating experience. Make sure you take your cameras along to capture unforgettable memories. Located in the heart of Idukki, Vandanmedu is the largest cardamom plantation in India, and one of the largest in the world. Perched at an altitude of 400 ft on the Thekkady-Munnar route, the place is an absolute paradise. Ideal for sightseeing and relaxation, Vandanmedu is a top tourist spot. When you look for the cheapest Kerala tour packages for a trip to Idukki, Vandanmedu is a place that you just cannot miss out on. Situated 25 km from the district of Idukki, the Thommankuthu waterfall is truly a sight to behold. This cascading waterfall gushes down from a height of 3000 ft and has seven steps to it, with a pool on each level. So if you are looking for a destination to experience the wonders of nature closely, you can visit the Thommankuthu waterfalls. Not only can you witness the enthralling beauty of the waterfalls, but can also enjoy trekking as well. Explore the unspoilt hamlet of Ramakkalmedu, known for its trekking trails. One of the most popular destinations in Idukki, this place is ideal for adventurers as well as tranquil seekers. If you wish to have a panoramic view of the surroundings, then you can trek to the hill top, starting from the Ramakkalmedu Junction. Get mesmerized by the beauty of Ilaveezha Poonchira, a beautiful valley spread across thousands of acres of land. Situated at the foot of Mannakunnu Hill, Kudayathoor Hill and the Thonippara Hill, this valley is undeniably one of the best places to visit in Idukki. Trek along the trails of the valley, or witness a stunning sunset: suit yourself! Witness the wonders of nature with this picturesque Keezharkuthu Waterfall, gushing from an altitude of 1500 meters. Beautiful and serene as it is, this place is ideal for those seeking solace and adventure. Do not miss out on an adventurous mountaineering experience, and do try your hand on rock climbing as well. Are you a wanderer in search for a destination that offers you peace, adventure, and beauty? Well, it is time that you head to Idukki for the vacation of your dreams. So wait no more and book your tickets right away!